The final part of our series covering LinkedIn’s 2017 Mostly Socially Engaged Staffing Agencies is about the importance of utilizing the online space, specifically LinkedIn, to engage and network with people. 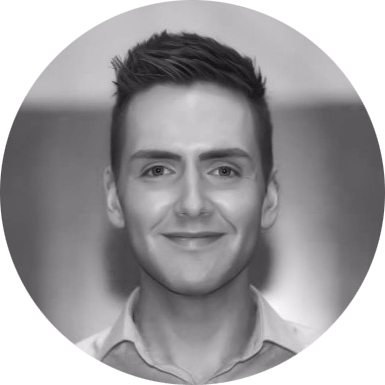 So to get the answers, we chat with Nicholas Eveleigh, the Senior Marketing Executive at McGregor Boyall Associates, a UK-based recruitment firm with operations spanning across Europe, Asia and the Middle East. Networking online is a necessity for our business, it allows us to stay connected with our existing customer base as well as engaging with new audiences. As a business, we decided to invest heavily in LinkedIn by providing all of our Consultants with their own recruiter licenses. This allows our consultants to maximise their engagement with the platform and keep in touch with both their candidates and clients regularly. As a business, we find value in sharing relevant content regularly, because of this we made the decision to enhance our company page by investing in multiple career pages, these allow us to demonstrate the different areas of our business across the globe and promote our corporate values to our audience. As well as investing in career pages and recruiter licenses we have also heavily invested in LinkedIn advertisements, in 2017 we ran three different brand awareness campaigns for different specialisms within the business, having received great responses from these we plan to run similar campaigns in 2018. As part of our content strategy for LinkedIn, we do our best to provide our network with relevant content as regularly as possible, the types of content we push out include; market and industry insights, latest studies and findings, salary guides, our people, culture and the quality service that we deliver. Our people are the personification of our brand, we encourage and empower each of them to engage with LinkedIn on a daily basis. By connecting with the market and building relationships, our people help to share our services and our solutions, while providing clients and candidates with a recruitment service that is built on our core values. Clients and candidates look to us to inform them of the latest news and market trends. We do a lot of this through the content we push out on LinkedIn but we also regularly host breakfast seminars and events to launch our latest research and insights. Social recruiting is vital for our business because it gives us the opportunity to engage and connect with both people and organizations, allowing us to uncover the very best talent on the market. Once these connections have been made it is imperative that we nurture them. Ensuring that our clients and candidates are engaged in our work helps them to feel part of what we do and encourages and builds long-standing partnerships that can span entire careers. LinkedIn is a great professional networking platform and empowers our people to connect with our clients and candidates easily and personally, allowing us to add value to the services we provide. Our business covers many industries and specialisms and LinkedIn allows us to demonstrate our capabilities and brand globally.